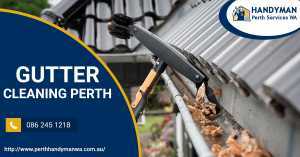 Fully Qualified and Experienced Gutter Cleaners Perth! We at Handyman Perth believe that cleanliness is the best way to get a healthy environment And regular cleaning of gutters is a major step towards that approach. Gutter cleaning is also necessary to prevent their overflowing and flooding of your establishment’s interiors and premises during rain. Thus, such a vital job need experts, and none can be greater experts in gutter cleaning Perth WA but us at Handyman Perth Services WA. We claim for the Best Gutter Cleaners Perth strongly, for we believe no one in Perth, WA knows sanitation and cleaning better than us! 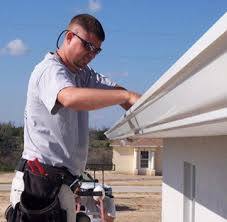 Handyman Perth is one of the most trusted gutter cleaning services organisation and the best one in Perth WA. We have had the privilege to provide services to numerous houses, schools and workplaces across Perth, including certain famous establishments. We have a 100% cash-back guarantee, thus you can be assured of speck-clean gutters for sure! We also provide a roof-report so that our clients can have an idea of how clean their gutters are after servicing. To contact us, mail us at our email id or call us on our phone number soon! We at Handyman Perth have years of experience in this field of work, have a minimum of $10 million liability of insurance and $50 million workers compensation, provide free quotes to all clients who ask for them, and also provide a roof-report denoting 100% service guarantee. Such is our dedication towards our service, which no other gutter cleaning Perth WA agencies provide. Analyse the roof conditions, type and pitch, along with the ongoing weather conditions. Implement all safety measures and make sure no part of your establishment gets destroyed in the gutter cleaning process. 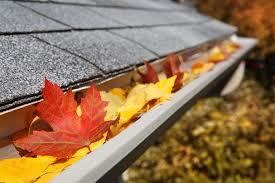 Clean all debris from gutters, down pipes and valleys. Unblock all blocked down pipes and wash gutters and valleys again through the down pipes for thorough cleaning. Check for gutter rust, broken tiles- if any we replace or repair them according to requirement, the health of ridge-capping and overhead branches. Create the roof cleaning report and present to the clients including a regular gutter cleaning routine. Clean surroundings in case of any messes owing to the service. 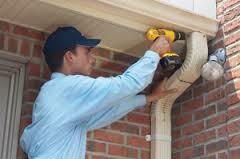 We at Handyman Perth provide the best gutter cleaning services Perth has ever known of. Contact us now!